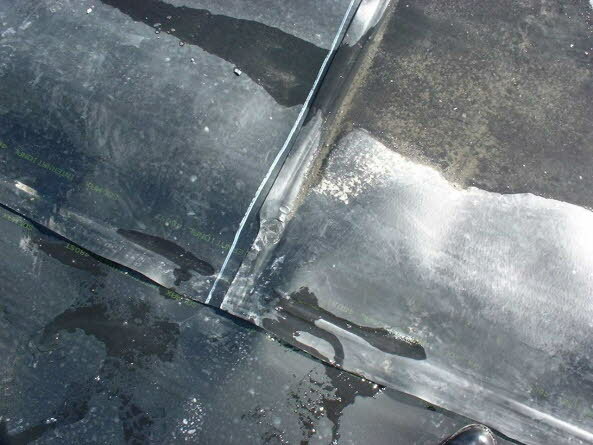 A close up of an HDPE landfill liner weld. It had been raining before this photograph was taken. The moisture visible is rainwater.